Home » Academics » Programs » Why Study an MBA? After completing their undergraduate degree, many new graduates face the next big challenge in their educational path: deciding whether or not to continue their studies and they ask themselves what is the benefit of studying an MBA and why. They have good reason to be skeptical, graduate studies can be expensive, but in the long run, the benefits of holding an MBA far outweigh the disadvantage of its price, investments of time and hard work. A large part of the value proposition for employers is soft skills, such as communication and critical analysis. These are developed during MBA programs through debates, collaborative activities, case-study analyses and presentations. Increased pay is surely one of the main reasons to pursue an MBA. Graduates can expect a significant increase in salary after graduation, as employers acknowledge the advanced and specialized skills acquired during the program and financial investment in tuition fees. On the other hand, it is important to have realistic salary expectations during the job search process. In comparison, the average salary for MBA employment in Western Europe has surpassed expectations this year. Switzerland, Belgium, the U.K. and Ireland have the highest salaries in the region. In Belgium, graduates can expect an average salary of $129,000. Interestingly, however, citizens from Western Europe are more often contacted by recruiters based in the Middle East and Africa. 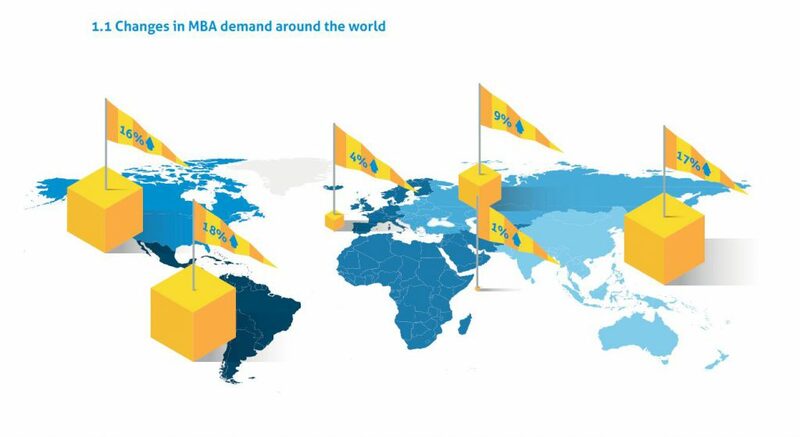 Western Europe happens to be the region that recruits the most internationally, making them by far the world’s most outward-looking region in terms of MBA employment. Great news for non-Europeans. 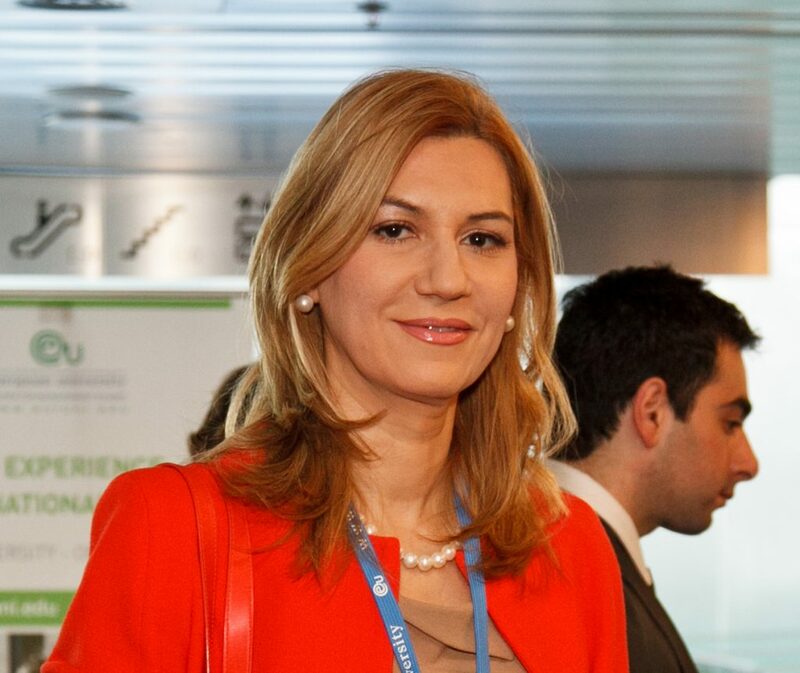 After her EU MBA, alumni Emilija Ivanovic founded management consultancy, Trade Resource. So, why an MBA is important for your career? Another great reason to study an MBA is to move up to a high-level management position. As reported by Fortune, 40% of S&P 500 CEOs in any given year have an MBA. Many employers search specifically for MBA graduates in the hopes that they will grow with the organization. Specialize in a field that you are passionate about! Focusing on a specific field gives graduates the opportunity to add to their existing business knowledge, since the specialization courses of the program prepare students to change to a new industry or start their own company if they wish. There are many countries in which the labour market is static and you won’t get hired in a management position if you don’t have a previous experience in the same sector. Study an MBA is the fastest and most effective way to refocus your career, as you will deeply enhance knowledge in the sector of your interest and you will acquire in months the skills your competitors got in years of hard work. Maybe you have a marketing background but you believe that now is the moment of the blockchain, or you are a salesperson but you believe that the future of sales is digital marketing. Whichever your situation is, check out the complete list of EU Business School MBAs. 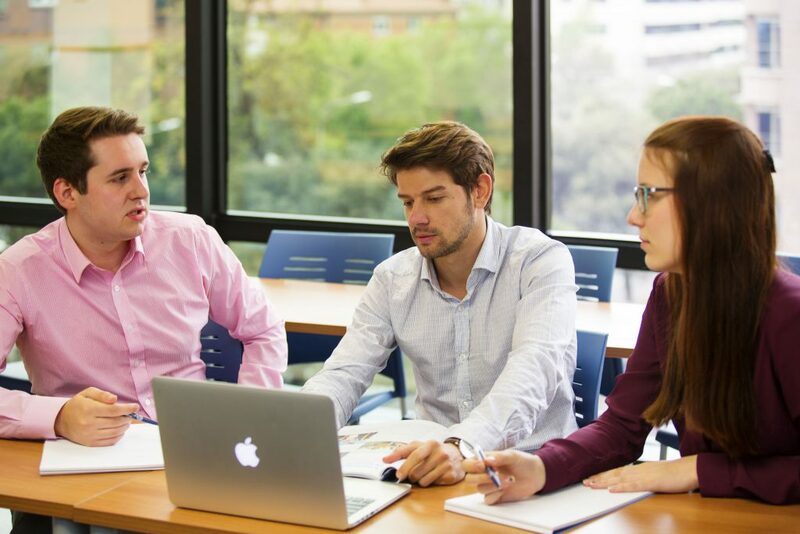 The professional network of a business school is so important that many students choose their MBA in first place for the connections they will establish thanks to it. So, when you join an MBA, try to participate to all networking events and be ready to share your digital business card. As a member of the association, you will be able to exchange advice, career opportunities and enjoy a long list of advantages. Many MBA applicants ask themselves what skills does an MBA give you apart from the knowledge derived from learning the taught programs. Study an MBA is a wonderful opportunity to study abroad. While you are studying to enhance specific knowledge, management and communication skills, you can also learn a new language and expand your connections in a foreign country. At EU Business School we offer the opportunity to study every semester in a different campus, so you will have the opportunity to learn Spanish and Catalan in our Barcelona Campus, German in our Munich Campus and French in our Geneva or Montreux Campuses. If you are wondering what can you do with an MBA, then be sure that is a guarantee to obtain the freedom to work from the place you like the most. It can be a city you like, but also a place in the middle of the nature where you can have a 5g connection. Feel free to share the following infographic that summarize why study an MBA citing the source. Why Study an MBA Program in Germany? Kalena works in the Communications Department at the EU Barcelona campus.